You can’t buy me anymore. I’ve been running 64-bit versions of Windows since Vista was released. Most software works perfectly fine but on occasion you find some weird software that just won’t install. One of these is Sony’s end-0f-life LocationFree Player software. It’s fairly obvious why this won’t install – they use a hard-coded batch file to do the install and it is makes the (wrong) assumption that there will only ever be 32-bit computers. Had they used a real installer, this wouldn’t be an issue and I wouldn’t be spending 10 minutes of my life typing this. Run the installer (C:LFA-PC30US-40353InstallLocationFreePlayer.bat) as you normally would. Wait for it to run and eventually error out. 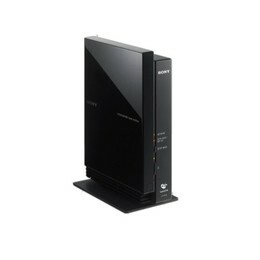 You should have a C:Program Files (x86)SonyLocationFreePlayer directory. Manually create this directory: C:Program FilesSonyLocationFreePlayerLFPC3US. Go back to the (x86) directory and navigate to C:Program Files (x86)SonyLocationFreePlayerLFPC3US. Why it only needs those 3 files is beyond me but then again, this installer was made by rank amateurs. No wonder it’s a dead product. It works in Windows 7 64bit notebook computer, as good as Windows XP 32bit. Problem is will not install in Windows XP 64bit. From Windows 7 64bit I copied all files from the registory and C:Program Files (x86)SonyLocationFreePlayerLFPC3US to computor with Windows XP 64bit. Does not exist in C:Program FilesSonyLocationFreePlayerLFPC3US in Widows 7 64bit. I found it will never work as described above – I tried several time with no success. All I needed to do was copy files from my Windows 7 64bit Computer – it would not install from exe file. Therefore I needed to install one folder at the right location – Program File(86) then two dll files at SysWoW64 with one Desktop Link(icon) directed to Program File(86). Need more Info left me know – it does work. In XP 64 bit, it only gives you 30 days to test it then after you need a password to continue, the only password it accepts is the most recent Locationfree password, off the folder for the disc, yet in XP 32 bit or Win 7 – 32 bit or 64 bit no password is needed, if you use the newest version found at Sony.com. I never have a problem now installing LocationFree software, whether its Windows XP 32 bit or 64 bit and Windows 7 32bit or 64bits, now that I solved the problem, this is a great place to remember how I did it.